The fully loaded Weight is 4.34 Kgs. The Empty Weight with empty icepacks is 1.99 Kgs. 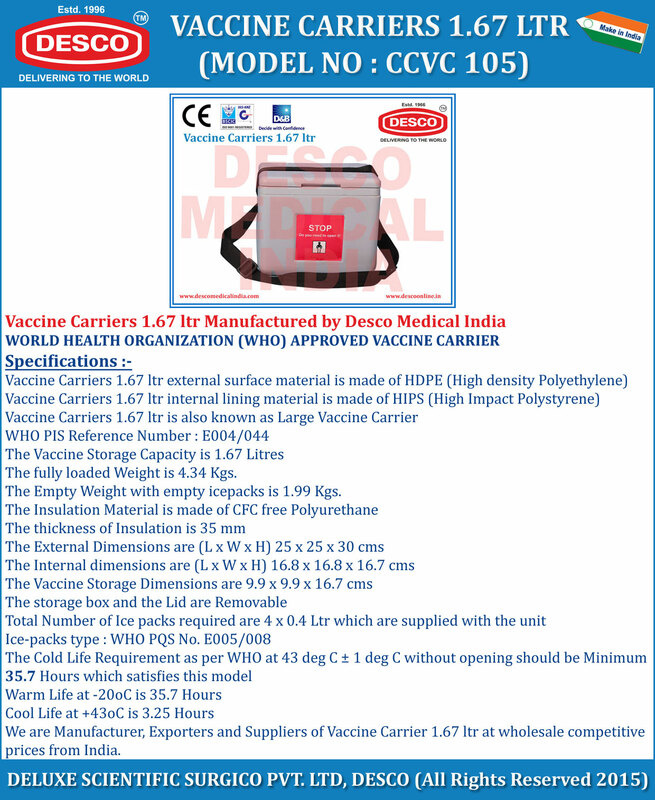 We are Manufacturer, Exporters and Suppliers of Vaccine Carrier 1.67 ltr at wholesale competitive prices from India.